It’s getting down to the wire and you are probably wondering what to get for that birder on your list. Here are some simple ideas that should be easy to pick up at a local store or through Amazon in time for Christmas! The UP MOVE by Jawbone is one of the smallest fitness trackers. In addition to tracking how much exercise you are getting, this inexpensive tracker has a fantastic use as a birding tool. Just press the button when you start and end your birding, and you will have accurate distance to plug into the eBird Mobile app! Just remember to divide by 2 if you walk out and back the same trail. These crazy bright flashlights are perfect for owling and pump out an pretty amazing 1000 lumens of light. You need something small and portable if you are out prowling the woods with binoculars and camera, and this is the ticket. Comes with everything you need including rechargeable batteries. Lots of birders wear the big floppy vests that is usually reserved for fly fishing, presumably to stuff all the gear you need to carry with you out into the field. There is a much more stylish option with extra pockets however, and it comes in the form of anything from a winter coat to a vest or even a hoodie. It’s got spots for headphones, phones, tablets, bird books, water, and everything else you could want out in the field. There is no coffee maker that is this portable and makes such great drinkable coffee. It stacks up into a pretty compact unit for carrying around, and makes a smooth cup o’ joe. Pro-tip – get the Java Jug as well to store the Aeropress in and it triples as the hot water kettle and coffee pot as well! You can load your friends up with credit to the BirdsEye Store, which they can use towards a membership or any of the audio guides that are available for many parts of the world. If you want you can also get them an iTunes gift card which they can use on any birding app. Since your birding buddy probably already has a scope, and likely also has a smartphone, help them combine the two with a digiscoping adapter! 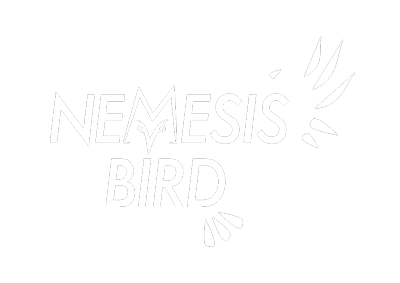 You can save 10% off the price of a PhoneSkope kit if you use the code NEMESISBIRD when checking out.